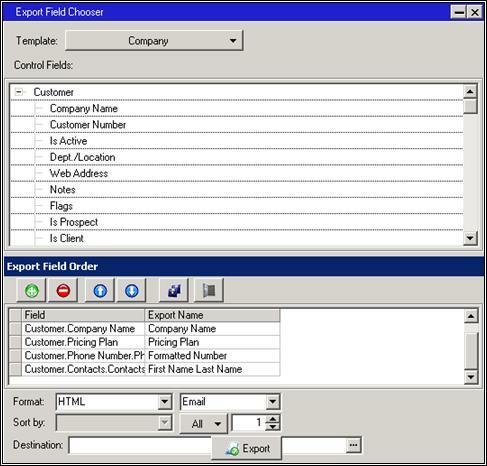 Two instruments were designed specifically to make exporting of data flexible and easy for the user, the Export Field Chooser Instrument and the Export Template Instrument. Use this instrument to quickly execute an export using the selected template. Double-click on the export template or select the template name and click Export. Use this instrument to quickly execute the selected macro. This instrument should show shared (public) macros and the logged in users non-shared (private) macros. Macros are created by going to Sales & Marketing in the main menu, then choosing Macro Setup. Double-click on the macro or select the macro and click Execute.